An appeal has been lodged with the charity tribunal against the Charity Commission’s refusal to register a masonic trust as a charity. 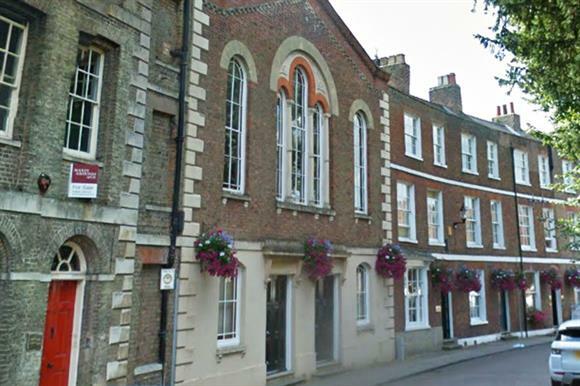 In July, the commission refused an application to register the Province of Cambridgeshire Masonic Buildings Trust as a charity. A spokeswoman for the commission said: "This decision was based on well-established law that the purposes of freemasonry are not charitable purposes and that there was personal benefit to the masons who own and occupy the buildings by relieving them of the costs of maintaining the buildings." It is understood that the trust owns property used by the Provincial Grand Lodge of Cambridgeshire, a regional branch of the freemasons. Last month three people – named by the charity tribunal register of cases as Cohen, Dastur and Sherriff – appealed to the tribunal against the commission’s decision. The commission will submit its response shortly, its spokeswoman said. One of the three, Bill Dastur, an accountant who is also a trustee of the Province of Cambridgeshire Charity for Care and Relief and the Province of Cambridgeshire Masonic Benevolent Association, both of which are registered as charities, was contacted by Third Sector but said that the trustees would not discuss the matter until after the tribunal process had been concluded. The United Grand Lodge of England, which oversees freemasonry in England, Wales, the Channel Islands and a small number of overseas branches, says it has 8,000 affiliated lodges with a total of 250,000 members. There are a total of six million freemasons around the world, it says. Earlier this year, the tax tribunal ruled that the grand lodge was not eligible for a VAT rebate on more than 20 years of membership subscriptions, with the judge deciding that the monies were not paid as "an act of philanthropy". According to the UGLE website, freemasonry is "a society of men concerned with moral and spiritual values". Analysis: Charity in masonic lodges - 'Unduly restrictive' or a 'big enough class'?